G’day all. 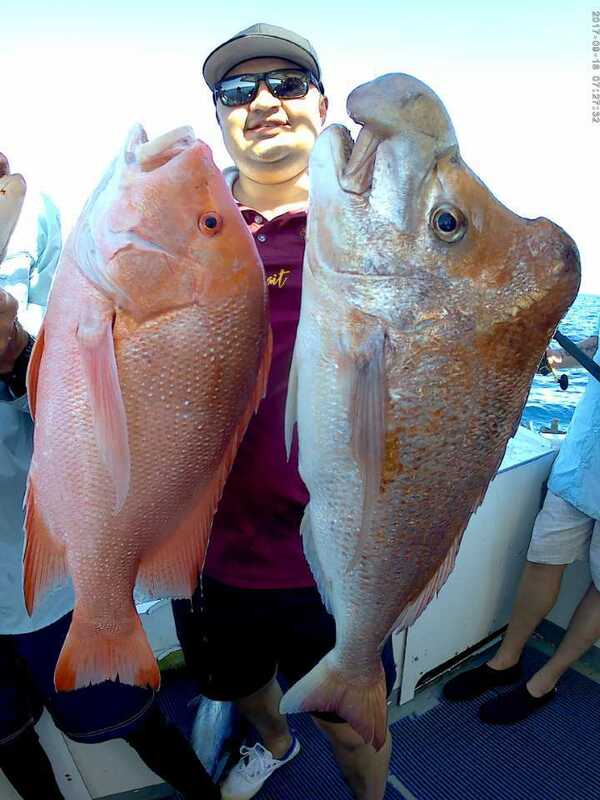 Great fishing has continued over the last month and we are having a great snapper season with not only quantity but also quality, some real crackers like the one in the photo which has the ugliest head I have seen on a snapper and there have been a few! Pearl perch have been in good numbers and some real quality fish have been coming on board. Soft plastics are useful for getting past the smaller fish into the bigger ones, and some of the guys have been having a ball on both snapper and pearl perch. Most all other species are in good numbers, as you would expect this time of the year, and some consistent decent weather has really helped. Red emperor have been good over the last few months which is promising, as it’s coming up to the best time of the year for those ever-elusive big Reds. Cobia have been a common catch lately as well, surprisingly, as the water temperature is down low. Along the beaches things look like they have started to fire up a bit with some nice tailor being caught, along with the odd jew. ‘Til next month enjoy the beautiful weather while it lasts.